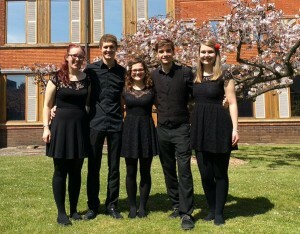 The Music Education department at the University of Reading is enjoying a busy term. Our programme of lunchtime concerts has showcased the talents of Year 3 BA Education (QTS) Music students as they have performed in the University ensemble-in-residence Perfect Fifth. 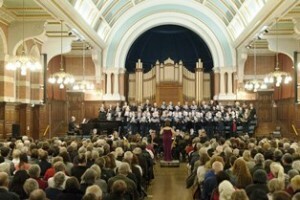 The University’s Choral Gala on 4.6.16 at the Reading Town Hall, featured children from Long Lane, Newtown, St Johns, St. Mary and All Saints Primary Schools singing with the University Chorus and Chamber Choir. On 7.6.16 and 9.6.16 children from Whitley schools will present a Singalonga Pirates of Penzance led by secondary PGCE students as part of their enrichment programme. If you are interested in finding out more about our undergraduate and postgraduate music education courses in early years, primary or secondary education, come and see us on the University open days on 16th and 17th June, or bookmark our website and follow us on Twitter. @BecBerkley on IoE welcomed BA (QTS) Education applicants as they arrived at London Road for the third interview day of the season. @Nasmajid on IoE welcomed BA (QTS) Education applicants as they arrived at London Road for the third interview day of the season. @UniRdg_IoE on IoE welcomed BA (QTS) Education applicants as they arrived at London Road for the third interview day of the season.